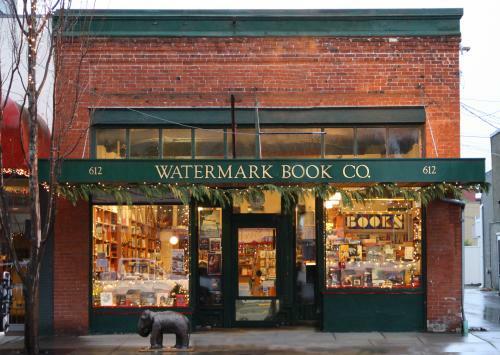 Watermark Book Company is a locally owned independent bookstore in the heart of beautiful downtown Anacortes. 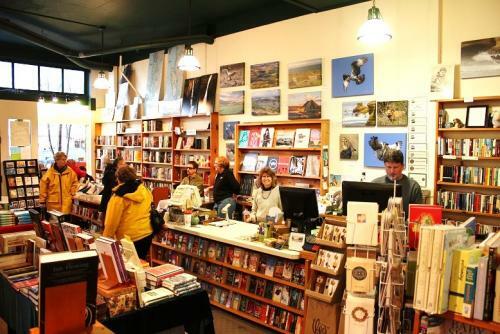 We've been here since 1989 and take pride in our cozy store, and in our knowledge of books, authors and all things literary. We sell new books - bestsellers, old favorites, classics and more esoteric titles - as well as a a unique selection of cards, calendars, maps, audio books, and other book-related miscellania. 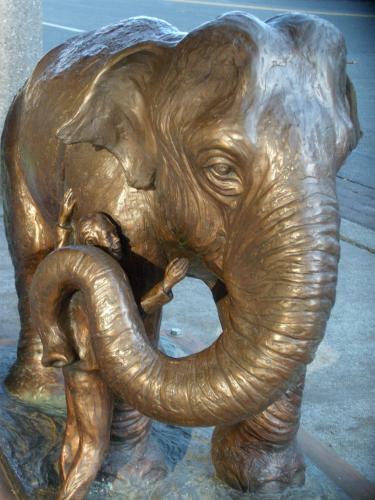 We also have Theo chocolate (made in Seattle from organic fair-trade beans, www.theochocolate.com). If you can't find what you're looking for on our shelves, we do special orders most weekdays, with overnight delivery of books in some instances. We also do beautiful, free giftwrapping! We are a member of the American Booksellers' Association (ABA), the Pacific Northwest Booksellers Association (PNBA) and Indiebound, the network of independent booksellers, whose input appears on our website. 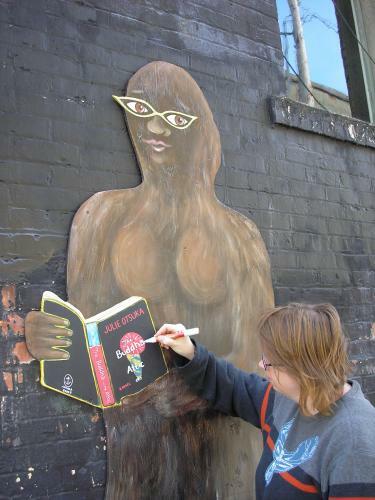 Not all bookstores have a sasquatch, let alone one with literary tastes! Ours hangs out around the corner in the alley and reads new books every month or so, as recommended by her artist friend (and creator) Christine Olsen. Check her out on Facebook at Lady Sasquatch. For a selection of Lady Sasquatch's reading choices, click here. Watermark Book Company was featured - briefly! - in an item about Christine and her sasquatches during an episode of the KING-5 TV program, Evening Magazine. Several other Sasquatchophilic Anacortes businesses (Bikespot, The Brown Lantern, Johnny Picassos, The Juicy Dog) were featured on the program also. To watch the clip, click here. I found a canopy of sustainable words. in a real community store. Margo is a local poet and one of the winners of the inaugural Anacortes Word Waves Poetry Contest.